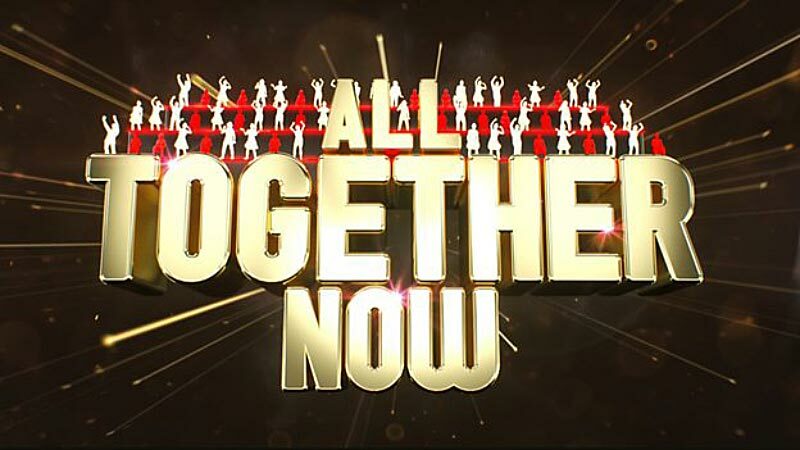 Hosted by comedian Rob Beckett, All Together Now is the brand new competition with a twist. A range of talented singers will take to the stage to perform in front of The 100 - a unique panel of music experts and performers from all over the UK. If any of The 100 like what they hear, they can stand up, join in and sing along. The greater the number that join in, the higher the act’s score. At the end of the series, one act will walk away with a £50,000 cash prize. So, who can get The 100 on their feet and singing along? Heading up The 100 is pop icon Geri Horner. As a member of the Spice Girls, the best-selling girl group of all time, Geri knows exactly what it takes to get a crowd joining in and singing along. The 100 are all passionate about music and performance, with big voices and even bigger opinions. Geri will be joining them to offer her expert advice as a performer and provide support and encouragement to the contestants. A six-part series for Saturday nights on BBC One, All Together Now is for anyone who believes their voice and performance could make them win big. From soloists to groups, amateurs to professionals, they’re all united by a love of singing. Each week, a whole array of talent will perform, but only two acts can go through to the Grand Final and the chance to win the amazing cash prize. Comedian Rob Beckett will be ensuring the show is fun-filled with lots of laughs. He says: "If like me you’re the sort of person who likes to belt out a tune in the shower then I’m pretty sure this is the show for you... but if you’re the sort of person who likes to belt out a tune in the shower while another hundred people join in... then firstly, how big is your bathroom? And secondly this is definitely the show for you!" Geri says: "I’m so excited to be part of this show. It’s about celebrating talent, uniting people from all walks of life, feeling good AND singing! It’s a whole lot of joy standing up together on a Saturday night." All Together Now is produced by Remarkable Television, part of Endemol Shine UK and filmed at dock10 studios. The executive producers for Remarkable are James Fox, Dom Waugh and Andrew Cartmell. The series editor is Marc Bassett. The format was devised by Remarkable Television’s in-house team.